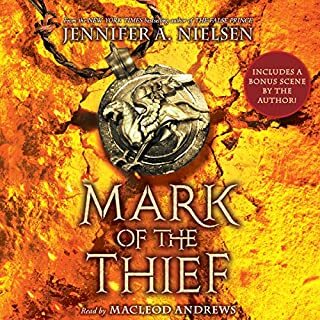 When Nic, a slave in the mines outside of Rome, is forced to enter a sealed cavern containing the lost treasures of Julius Caesar, he finds much more than gold and gemstones: He discovers an ancient bulla, an amulet that belonged to the great Caesar and is filled with a magic once reserved for the Gods - magic some Romans would kill for. Eugenides, the queen's thief, can steal anything - or so he says. When his boasting lands him in prison and the king's magus invites him on a quest to steal a legendary object, he's in no position to refuse. The magus thinks he has the right tool for the job, but Gen has plans of his own. After years on the run, Adelaide thinks her lonely and dangerous life as a thief is finally over. But her world is upended when a witch steals her away to a faraway kingdom to perform an impossible heist. If Adelaide fails, her newfound family would be sacrificed to a beast. To complete her mission, she’s forced to assume the role of a noblewoman and enter a royal competition. The prize is the hand of the elusive crown prince. Elimination means certain death. Masterful Storytelling and Delightful Performance! I teach middle school, and I use summers to catch up on what's hot in adolescent fiction. I spent a lot of time this summer with books in the "Hunger Games" vein, but this one was a welcome change of pace. This is my favorite kind of book--driven by fascinating characters with complex motives. It also has a well-crafted plot and intriguing politics that left me hungry for the sequel. It reminds me in all the best ways of Megan Whalen Turner's "Thief" series, but is not derivative of that. 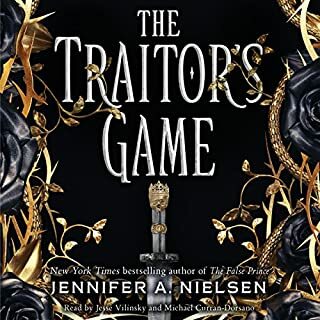 It involves a "Prince and Pauper" scheme to usurp the throne of a completely believable fictional kingdom, but layers of secrets and plot twists keep the story consistently engaging. The main character has a compelling mixture of strengths and weaknesses, and the more the reader knows, the more he/she can identify with him. The reading was fabulous--perfect for the characters. I listened on a long drive and was completely lost in the book. 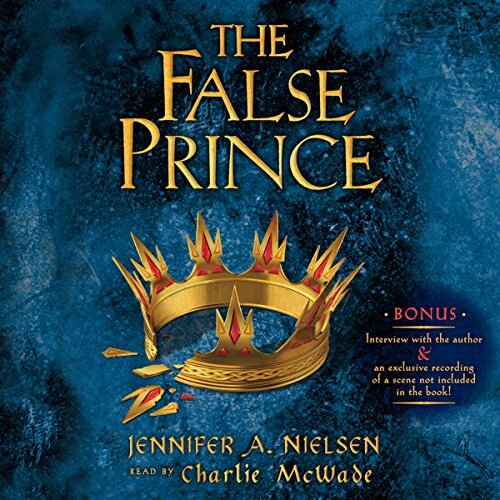 The False Prince will be among my top recommendations to my students, but it was certainly no chore to read it. I hope there's another Nielsen/McWade treasure out by next summer! What did you love best about The False Prince? Sage, the main character is well written, a bit sassy with a lot of heart. Sage. He's the narrator. He gets himself into scrapes because of his stubborn streak. Reminds me of people I know. Can't pick. It's just not possible for me. 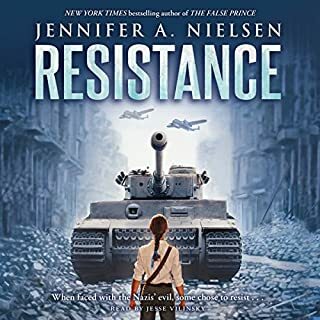 This is a great book for younger readers, although I am a mom in my 30's and loved it. No swearing, no sensuality, very little violence. The violence that it does contain is not graphic. I enjoyed Charlie McWade's narration. I had been waiting for False Prince to come out for months, and eagerly snatched up my audio copy. The book is a wonderful listen/read and goes at a good pace, especially later on. At first it may be a bit slow because of the "training" but once you get past the first bit of that, then interesting things begin to happen, several of them were small enough that I didn't realize they were of import until later in the book when it came out. I want to listen again so that I can see what else I may have missed. Overall I give this book a 4 star because it was a good first impression. I may re-rate once I go through it again. If you enjoy this book I recommend the very similar False Princess. Another great read/listen. This is an exciting story that, for me, overcame a so-so narrator. The middle is a bit slow, but the twists and turns at the end more than make up for it. I didn't care for Charlie McWade as the voice of Sage. He tried valiantly to voice the characters, but accents sometimes slipped a bit and I couldn't tell any of the three boys apart. I'll be reading the second book in print. I absolutely loved this book! At first, I wasn't sure if I would enjoy it based on the premise, but it had so many good reviews I thought I'd give it a chance! I am so glad I did! It is well written and well narrated! The main characters are interesting and the plot definitely pulls you in! I enjoyed the story of the orphan boy reluctantly training to be a prince. 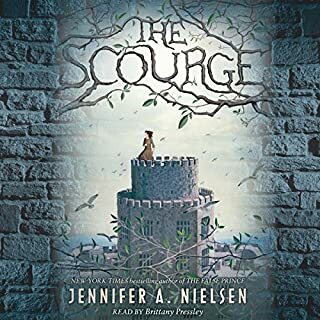 It's classic young-adult fantasy, complete with bad guys, swords, and a kingdom in need of saving. However, I didn't enjoy the narration as much. I think the timing was off and he was trying too hard. He did well to differentiate between characters, although some of his accents were annoying. Evil aristocrat kidnaps orphans for nefarious plot, clever orphan outwits him. I am hard pressed to believe that even a young listener would enjoy this. It's just a very formulaic story without the characters or details that might pull you in nonetheless. It is YA book, so I was not bother by the predictable plot, it was expected. I usually like a sharp tongue, witty character, such as Sandman Slim, but this kid, I just could not like. Every word out of his mouth was a put down to someone else, except the girl who WASN'T NECESSARILY BEAUTIFUL, BUT SOMETHING ABOUT HER WAS INTERESTING. It sounded like he was starting to soften up when I quit listening, but by than it was too little, too late. I understand that life had made the kid hard, but that mouth would have surely gotten him killed on the streets. I really loved this story! The characters are great. I really liked Sage and Mott. It had a great twist at the end and I can't wait until the next book comes out! This is an adventurous, clean story for all ages. 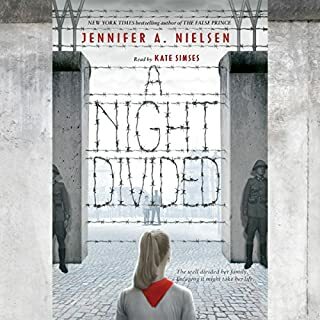 I'm excited to add this book to my classroom library and share it with my students! this was a good quick listen that I was able to finish within a week that I listened to on my drive time to and from work. Sage was brilliant, the right amount af angsty and genuine to make him a memorable and original narrator (and also making me love him). The plot was fast-paced, clever and brilliant. 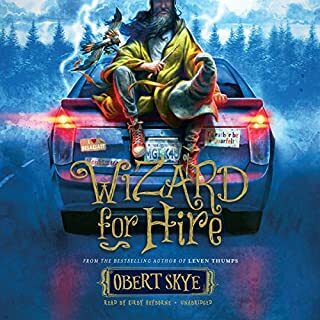 Even though I did guess the plot twist, it still was an extremely enjoyable listen (Charlie McWade has the perfect voice for Sage) and a book that I'd recommend for everyone.